The common threads that exist between the two technology providers only further strengthen the agreement moving forward. 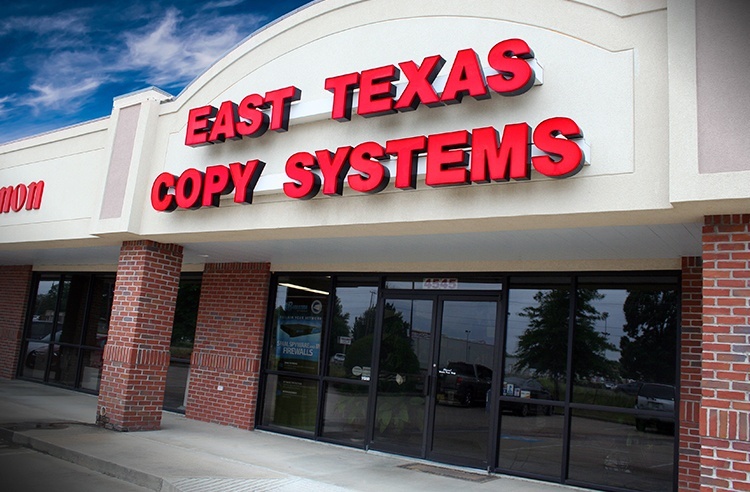 This alignment of go-to-market philosophies and company objectives between Datamax and East Texas Copy Systems makes this acquisition a benefit for all parties concerned — especially its valued customers. For a side-by-side comparison of the cohesiveness between Datamax and East Texas Copy Systems and their solutions and services, please click on: Profile: Business Technology As Usual And Better. Datamax and East Texas Copy Systems experienced professionals will strategically work together to deliver relevant technology solutions in a manner that promotes collaborative partnership and propels organizational productivity. The newly expanded organization will continue to offer a complimentary array of multifunction copiers and printers, desktop printers, wide-format printers and digital production equipment. Coupled with document management/workflow solutions, managed print services, managed network services, and IT consulting services, the ability to address “holistically” a broader spectrum of business technology challenges can now be realized. Vice President, Marketing, Datamax Inc.
Datamax Inc. offers the latest business technology to increase efficiency and productivity. 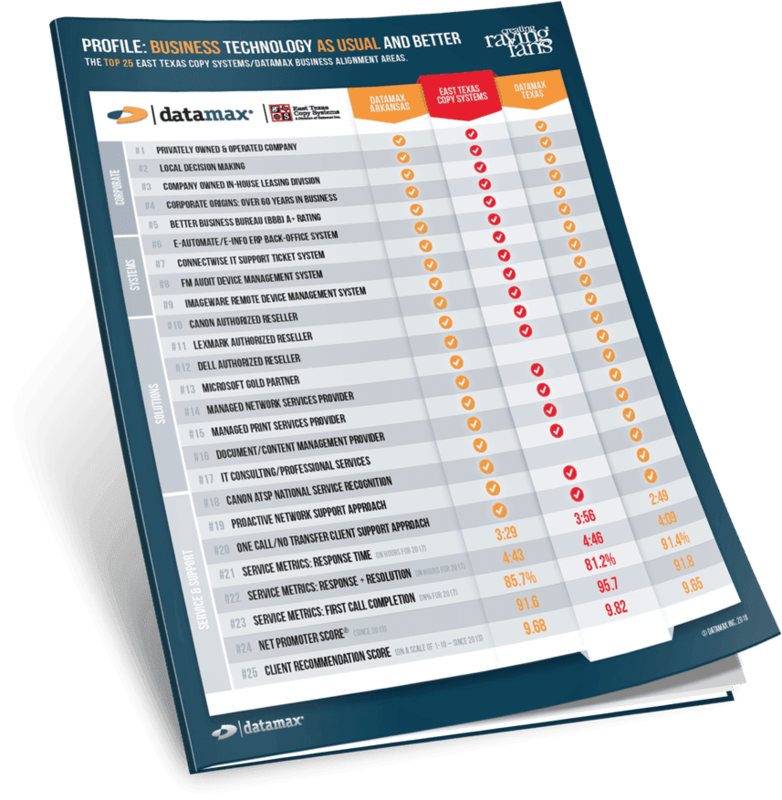 Datamax Inc. has been in business for over sixty (60) years with offices in Little Rock, Hot Springs, and Dallas/Fort Worth with more than two-hundred (200) employees in two (2) states. Datamax enjoys coveted recognition as a Canon Advanced Partner (4 years in a row), a Canon ATSP Service Provider (10 years in a row), a Konica Minolta PRO-TECH Service Provider (4 years in a row), and a Microsoft Gold Partner since 2006. Additionally, it has been recognized as an ENX Magazine ELITE DEALER AWARD recipient for the last two years and voted one of the Best Places to Work by Arkansas Business for 2017.